Latest Read - Highly Recommended! 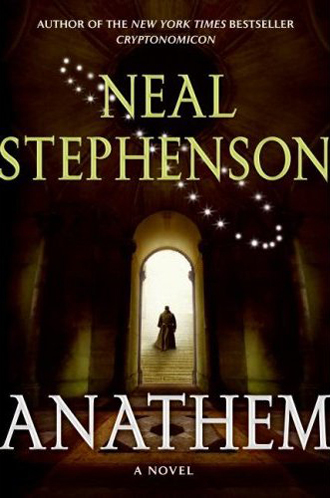 About a week ago I finished "Anathem", the latest novel by Neal Stephenson. There are lots of philosophical discussions and some interesting ideas, especially (without too-specific spoilers) about parallel universes, the nature of science versus technology, and symbolic versus language-based communication. Some say they found it slow but I felt the plot moved at a steady pace and was provocative throughout. Best of all, Neal Stephenson has finally managed to craft a solid ending. Well worth the ~900 pages it takes to get through! I am so scared of its length. Will save it for a looooooooong vacation. It goes pretty fast! I was pretty busy at the time but still managed to finish. Great read!